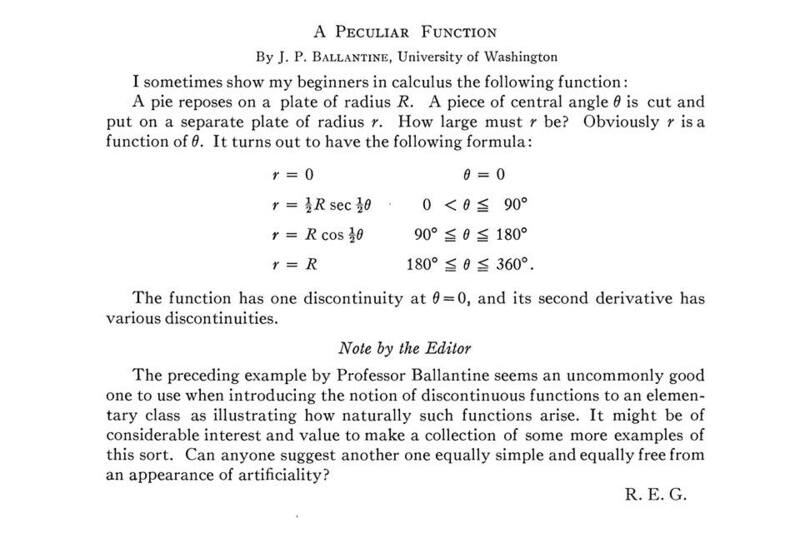 In the previous post, I derived three of the four parts of this function. Today, I’ll consider the last part ( ). 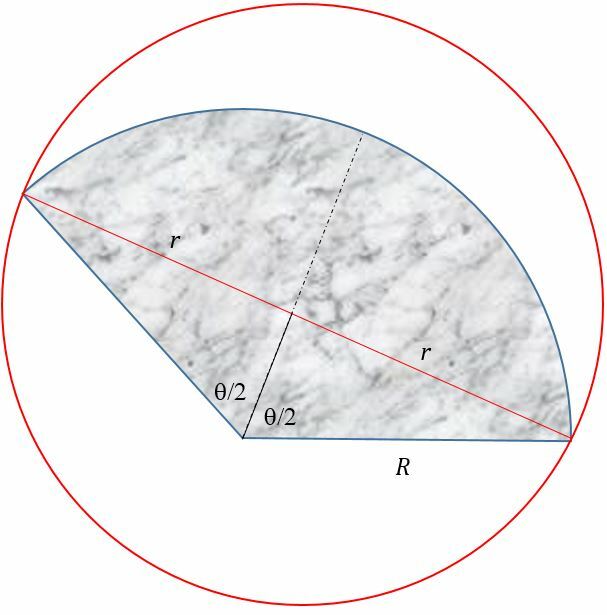 The circle that encloses the grey region must have the points and on its circumference; the distance between these points will be , where is the radius of the enclosing circle. Unlike the case of , we no longer have to worry about the origin, which will be safely inside the enclosing circle. We see from this derivation the unfortunate typo in the above Monthly article.